Illustrated with 136 photographs, drawings and maps. THE de Havilland Comet 1 was the first commercial, jet-propelled, passenger aeroplane and entered airline service in 1952. It was the great hope of the British aviation industry to seize for itself some of the growing airliner business from the Americans. This hope was dashed after a series of crashes culminating in two mid-air disintegrations over the Mediterranean in 1954. The reason for these two crashes is well known and prompted a world-wide change in airliner design and testing but it remains a fascinating story. In 2002 a television documentary was broadcast which implied that the defects that caused the crashes were known to the manufacturer and the authorities but that they had allowed it to continue in service for reasons of national prestige and commercial expediency. 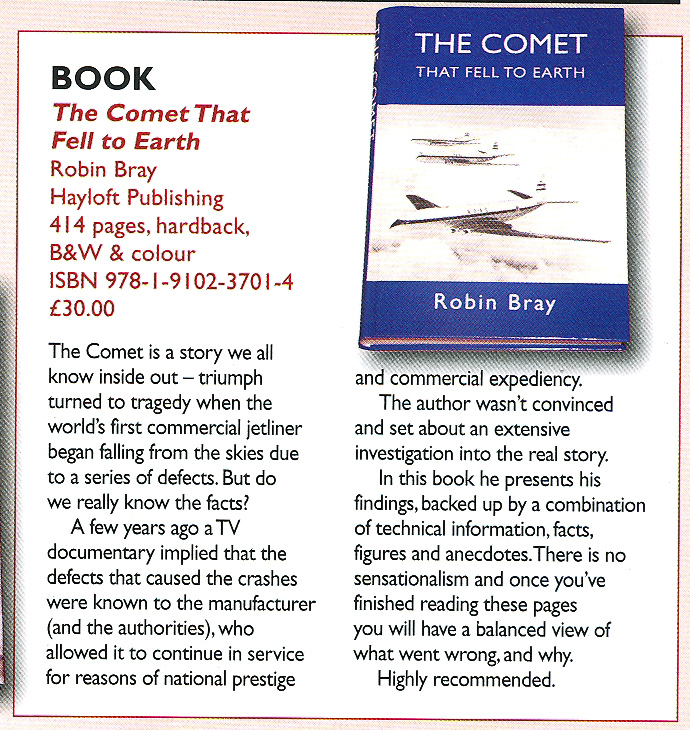 This rekindled the author’s interest in the Comet disasters and eventually led to this book which refutes the allegations made in the programme. 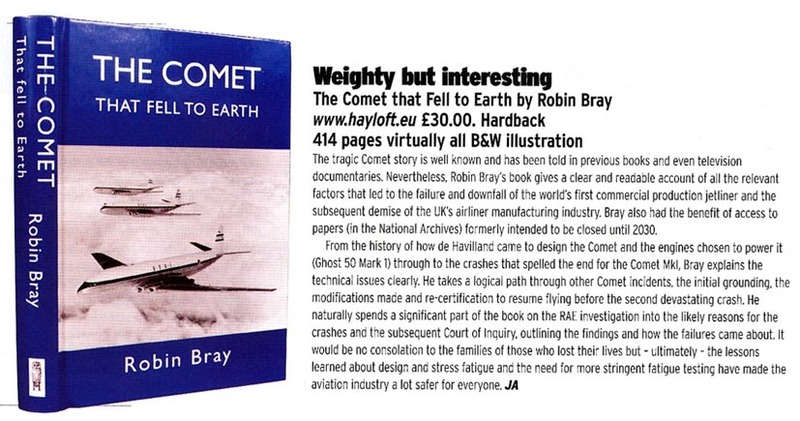 The book provides a detailed description of the Comet 1’s short career and the investigation and public inquiry that followed its final grounding. It also includes an account of experimental work carried out on the remaining Comets after the inquiry and the appearance of further evidence that changed some of the ideas about the mechanism of the first disintegration. A computer analysis of the stress pattern around a Comet window carried out for the book shows the areas of maximum stress that led to its failure. 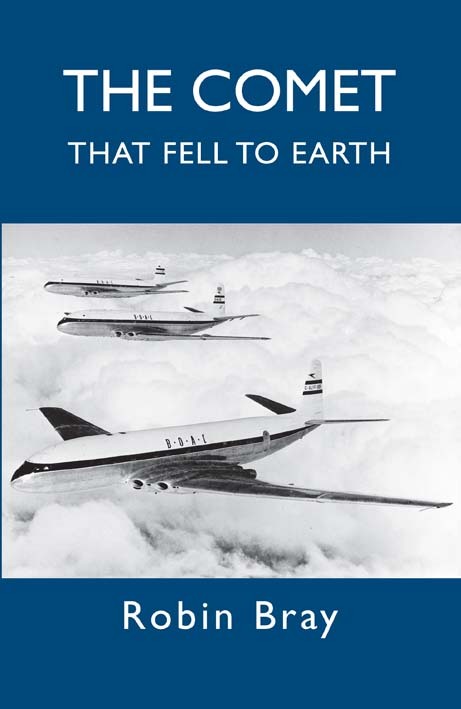 THIS is an incredibly well researched book on the background and history that led to the design and development of the aircraft, the entry into service, the series of accidents and the subsequent investigation and board of enquiry. The author has managed to combine both a lot of technical detail with a writing style that is easy to digest. It could have been incredibly dry, given the subject matter, but it isn't. I've built an extensive aviation library over many years, and this is one of the best additions to my collection. 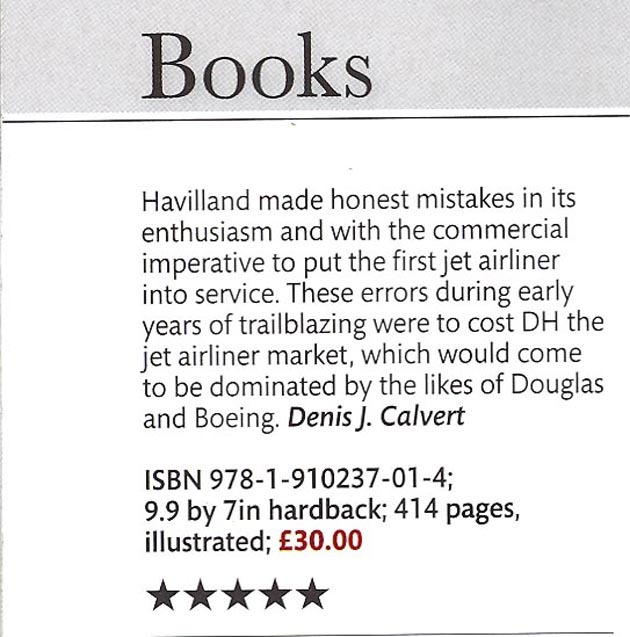 Recommended to pilots and aviation enthusiasts who want the definitive work on this very British facet of early jet transport – Amazon review. ROBIN BRAY was born in Worsley, near Manchester, and went to Canon Slade Grammar School in Bolton. He studied medicine at University College London and after working in Oxford and Edinburgh became a consultant anaesthetist in Newcastle upon Tyne, where he still lives. He retired in 2007 and in 2009 published his first book, Walking on Bridges, also published by Hayloft, which won its category in the 2010 Lakeland Book of the Year. This was partly a book of walks along the packhorse routes of the English Lake District and partly a description of the many small stone bridges that enrich them. It also included information about the engineering of bridges.